The mirror as an object has a deep and long affiliation within esoterica. It is used as a tool in all manner of rituals both ancient and modern. It's widely used in divination and spellcasting. 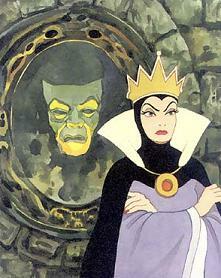 The magical nature of the mirror is present in the "true" narratives about particular occultists such as John Dee, as well as fictional mythologies: the oracle mirror in Snow White, the looking glass world of Alice in Wonderland, and even in the childhood "dare" type urban legends about summoning the spirit of Mary Worth. The mirror is also used symbolically, oftentimes within religious and mystical forums. 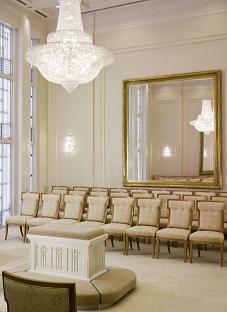 In Latter Day Saint (Mormon) temples, strategically placed mirrors are used in the marriage sealing rooms to create an effect that symbolizes the nature of eternity. (See image to the right for an example) Within Judaism, after a death, mirrors are covered in the shiva house. In Feng Shui, mirrors are used to direct and manipulate energy. There are uses and phrases that make use of the mirror to convey a sense of identity and truth. The phrase "Take a look the mirror…" essentially means someone is deluded about their true nature. Mirrors are made use of in carnivals and stage magic—obvious Trickster forums. The funhouse-style mirror maze is meant to disorient and misdirect, and the the curvy mirrors comically disfigure the body. Mirrors are also used on the external decoration of the carnival facades of rides and structures. In stage magic, mirrors are used to create illusion, and from it we also have the phrase "smoke and mirrors" that signifies meaninglessness and untruthfulness. Mirrors then, can generally be seen to represent questions on reality, status and truth. With this in mind, looking at notions and uses of mirrors within pop culture reveals some interesting and apt dynamics. For example, the iconic dance club disco ball of the 70s and 80s is composed of thousands of tiny mirrors, and can be seen to portray the many new possibilities of sexual and personal freedom for the individual, and perhaps even the resultant self-fragmentation that occurred with the indulgences of the post 1960s cultural revolution. More recently, I read about a mirror-related notion that I find quite telling. 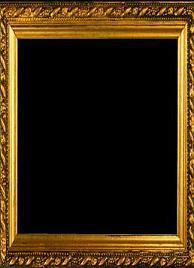 One popular application for the iPhone is a free download—a simple picture frame. When displayed on the screen, the effect is akin to a real framed mirror—because the screen itself is somewhat reflective. Of course, the frame application has nothing to do with this—it is present only to emphasize, note, and validate the reflective nature of the screen. The same day I was telling my husband about this, he related something similarly confounding he heard on Coast to Coast. A guest was telling George Noory all about new technologies that are available for cell phones and the like. Noory asked if it may soon be possible that text messages would be able to be coded in audible voice, instead of read-only text. At first, this may sound like something that might be useful, futuristic, or just novel. However, it takes about a half second to realize what Noory is describing has already been around for decades—essentially a voice message. I understand "texting" is different than leaving a voice message. Texting is said to be more convenient; it is less formal, less confrontational, less personal (it can likewise be the opposite of these things—in quite a passive aggressive way. If you've ever been at the theatre or a dinner table with a rabid texter, you know what I mean.) The idea of adding an audible voice to the text—kind of a proxy persona—adds another wall up against direct communication. First there is language itself, notably full of variable signifiers and interpretations. Then there is the device, the phone; there is the text; and the voice interpretation. It seems the more obstacles like applications and technologies are erected, the more it all comes around back to itself—the goal in this case apparently being natural voice communication, but "better" or more desirable somehow, transhuman even, because of its simulated quality. It's the same with the mirror application. The mirror-like reflective nature of the screen already exists, but it isn't novel , useful, or valid in itself—it isn't laced with irony or isn't kitsch, so you have that downloadable frame that unquestionably signifies it as a mirror. These postmod and fin de siècle high/low, old/new, usefulness/decadence, dynamics of mixed with the high occult symbology of the mirror itself seem to have a special message—but what? I haven't quite figured that out yet. However, as our lives become more imbued with and reliant on communicative technologies, it isn't so surprising that a mirror presents itself. Perhaps it's that simple.